Have you ever considered what characterises innovative companies? Those we refer to as «first movers»? Those who become guiding lights and that are later copied by other companies? Since I work on digital business development it may be no surprise that I consider the winners to be those who take advantage of digital power to create new platforms for innovation. The vast majority of innovative business models now come to life in a digital world and against this backdrop the winners are the companies with a strong digital brand. What is a digital brand and why is Amesto taking a quantum leap with its new global identity? The simple explanation is that a digital brand is the sum of all internet presence: websites, apps, mobile solutions, social media, search engine optimisation and last but not least, the domain under which you operate. From the early days of the internet we have been used to domains ending with country codes such as .no (Norway), .se (Sweden) and .uk (United Kingdom). In addition to the country codes there are also non-country specific top level domains. .com being the one most people are familiar with. Other examples include .info, .org and .net. Since the internet went commercial in the mid-90s we have seen around 150 million domain registrations of which .com has the largest share with 115 million registrations. The number of internet sites continues to grow at warp speed. The internet is the most important medium in the world and the internet economy is growing at a much faster rate than all other economies. In 2014 the domain industry will be turned completely upside down. Since the beginning of the year more than 250 new top level domains have been introduced and in just a few weeks these have seen a sale of nearly 700,000 new registrations. When ICANN’s roll-out programme is completed there will be more than 900 generic top level domains to choose between. This is an incredible opportunity for companies who want a more defined identity on the internet. Many of the major dot.com brands have been working hard to stop ICANN’s new TLD programme. They have spent millions to establish their dot-com addresses. The cards have now been reshuffled and are being dealt again, and deep down they know that the internet address of the future will not be a dot-com address. Rather this will become a symbol of the internet of yesteryear. The namespace is being greatly expanded and both new and existing companies can now create innovative business opportunities without having to buy old dot-com addresses at sky-high auction prices. Dot Global is backed by Norwegian shareholders. We have bought into the actual «roots» of the internet, or put differently: we have bought land on the internet and we are now putting new and attractive plots out for sale. The ambitions are huge and, naturally, global and we are going up against major organisations and companies across the globe. So far the journey has been time-consuming and expensive. More than 40 million Norwegian kroner have been invested already and that is before we have even entered the market. We are aiming at companies with a global presence or a global ambition. Historically .com has been the best TLD for this type of company. That is all changing now. In June, .global will enter a 60-day «sunrise period». This is a time in which trademark holders can register domain names for the trademarks they own. This sunrise period will be followed by a brief landrush period in which premium domains can be preregistered. In September .global registration will open to the general public and the TLD will be available via the largest registrars across the globe. The international .global launch took place in Singapore at the end of March. CEO Arild Spandow and Tarsem Basran (CEO of Amesto Global) attended the launch together with the Dot Global team. Amesto is our first .global customer and with this history is written. It was extra-special to me and the rest of the Dot Global team to be able to have an international Norwegian company as our most important reference customer. Amesto has a presence in Asia, Australia, Europe, South America and the USA. Amesto is currently implementing a major global expansion and what would be more natural than to highlight this with the new .global top level domain? 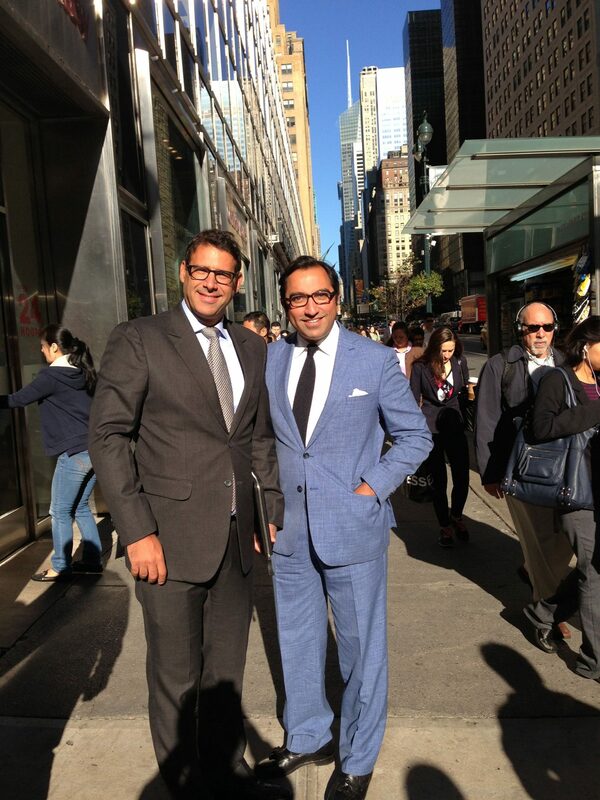 PHOTO: CEO Arild Spandow, Amesto Group and Tarsem Basran, CEO Amesto Global. For my entire start-up career I have been on the look-out for established Norwegian companies able to bring start-ups into the world. I have finally met a company doing exactly that. «Dot com is very 2013, the new top level domains are the future». To dare when others are sat on the fence, waiting — that is what I consider innovative. Amesto is taking a quantum leap with its new digital identity. Industry players looked towards Amesto during the Singapore ICANN meeting. Many major companies will follow. But Amesto was first!